Journal of International Trade and Economic Researches (JITER) is an independent publication. 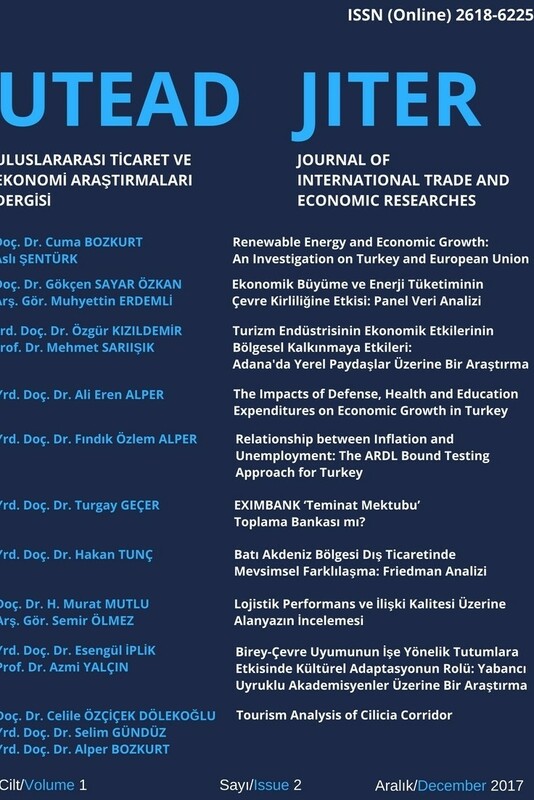 JITER, publishes scientific and original research articles in Turkish and English languages to create a common academic background in fields such as economics, international trade, logistics, econometrics, business, finance, banking, capital markets, political sciences, tourism, public administration and international relations. In addition, studies on these areas are taken into consideration from different disciplines. JITER, is an internationally refereed journal that began publication in 2017 and is published twice a year in June and December. JITER is open access via Dergipark. The author(s) are responsible for the opinions expressed in the articles published in JITER. All publishing rights of articles accepted as referee evaluations for publication in JITER belong to the JITER for an indefinite period of time. JITER, indexing/abstracting in Academic Keys, ASOS, CiteFactor, DIIF-Directory of Indexing and Impact Factor, ESJI-Eurasian Scientific Journal Index, ISIFI-International Services for Impact Factor and Indexing, ISRA-International Society for Research Activity, JIFACTOR, Journal Factor, Journals Directory, ResearchBib-Academic Resource Index, Scientific World Index, Society of Economics and Development, Science Library Index, Scientific Impact Factor. UTEAD will be published in electronic form only as of December 2017.